8x10 nitrate negative from the Wyland Stanley collection. San Francisco circa 1925. 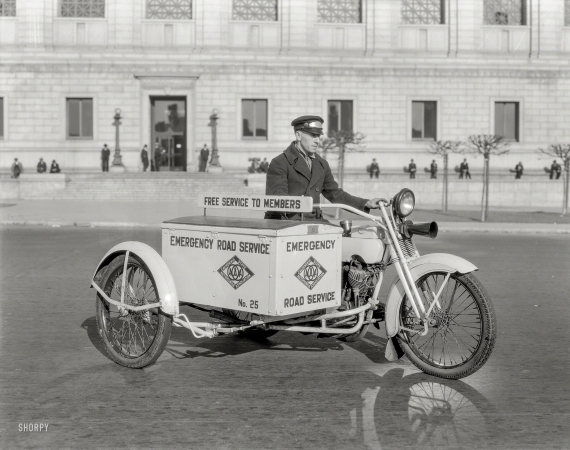 "Emergency Road Service motorcycle -- California State Automobile Association."